Fondée au XIe siècle par les Almoravides en tant qu'établissement militaire, Meknès devint capitale sous le règne de Moulay Ismaïl (1672-1727), fondateur de la dynastie alaouite. Il en fit une impressionnante cité de style hispano-mauresque ceinte de hautes murailles percées de portes monumentales qui montre aujourd'hui l'alliance harmonieuse des styles islamique et européen dans le Maghreb du XVIIe siècle. أسَّس المرابطون مكناس في القرن الحادي عشر لتكون مقرا عسكريًا. لكنّها أصبحت العاصمة تحت حكم المولى اسماعيل (1672 – 1727) وهو مؤسس الحكم العلوي. أنشأ منها مدينة مذهلة على الأسلوب الاسباني المغربي، فأحاطها بالأسوار العالية التي تخترقها بواباتٌ أثريّة نعرف اليوم أنّها مزيجٌ متناسقٌ مؤلَّفٌ من الأساليب الإسلامية والأوروبية في المغرب التي كانت سائدةً في القرن السابع عشر. Основанный в XI в. Альморавидами как военное поселение, Мекнес стал столицей при султане Мулай-Исмаиле (1672-1727 гг. ), основателе династии Алавитов. Султан превратил его в прекрасный город в испано-мавританском стиле, окруженный высокими стенами с мощными воротами. Здесь и в наши дни явно видно гармоничное сочетание исламских и европейских стилей, свойственное странам Магриба в XVII в.
Fundada con fines militares en el siglo XI por los almorávides, Mequínez fue la capital del reino en tiempos del sultán Muley Ismail (1672- 727), fundador de la dinastia alauita. Este soberano construyó una impresionante ciudad de estilo hispano-morisco, rodeándola de altas murallas, jalonadas de puertas monumentales, que muestran todavía hoy la armoniosa fusión del estilo arquitectónico islámico con el europeo en el Magreb del siglo XVII. Meknes werd in de 11e eeuw gesticht door de Almoraviden als een militaire nederzetting. Het werd een hoofdstad onder sultan Moulay Ismaïl (1672-1727), de stichter van de Alawieten dynastie. De sultan maakte van Meknes een indrukwekkende stad in Spaans-Moorse stijl, omringd door hoge muren met grote deuren. De stad geldt als het eerste grote werk van de Almoraviden en weerspiegelt de grandeur van deze dynastie. Meknes toont een opmerkelijke benadering van stedenbouw, waarbij elementen van zowel de islamitische als de Europese architectuur en stedenbouw harmonieus vermengd zijn. De historische stad heeft veel invloed gehad op de ontwikkeling van de civiele en militaire architectuur (de kasbah). The Historic City of Meknes has exerted a considerable influence on the development of the civil and military architecture (the kasbah) and works of art. Founded in 1061 A.D. by the Almoravids as a military stronghold, its name originates from the great Berber tribe Meknassa who dominated eastern Morocco as far back as the Tafilalet in the 8th century. Geographically, it is remarkably located in the Saïss Plain between the Middle Atlas and the pre-rifan massif of Zerhoun. It contains the vestiges of the Medina that bears witness to ancient socio-economic fabric and the imperial city created by the Sultan Moulay Ismail (1672-1727). It is the presence today of this historic city containing the rare remains and important monuments located within a rapidly changing urban environment that gives this urban heritage its universal value. The two ensembles are surrounded by a series of ramparts that separate them from one another. In addition to its architectural interest of being built in the Hispano-Moorish style, Meknes is of particular interest as it represents the first great work of the Alaouite dynasty, reflecting the grandeur of its creator. It also provides a remarkable approach of urban design, integrating elements of both Islamic and European architecture and town planning. Behind the high defensive walls, pierced by nine monumental gates, are key monuments including twenty-five mosques, ten hammams, palaces, vast graneries, vestiges of fondouks (inns for merchants) and private houses, testimonies to the Almoravid, Merinid and Alaouite Periods. Criterion (iv): Meknès is distinctive by the monumental and voluminous aspect of its ramparts reaching 15 metres in height. It is considered as an exemplary testimony of the fortified towns of the Maghreb. It is a property representing a remarkably complete urban and architectural structure of a North African capital of the 17th century, harmoniously combining Islamic and European conceptual and planning elements. Endowed with a princely urbanism, the Historic City of Meknes also illustrates the specificities of earthen architecture (cobwork) of sub-Saharan towns of the Maghreb. The Medina and the Kasbah are two ensembles fortified by impressive ramparts that ensure protection. They contain all the elements that bear witness to the Outstanding Universal Value (fortifications, urban fabric, earthen architecture, civil, military and cult buildings and gardens). The Medina constitutes a compact and overcrowded ensemble while the Kasbah comprises vast open areas. The imperial city is differentiated from the Medina by its long corridors between high blind walls, the sombre maze of Dar el-Kbira, the wealth of Qsar el-Mhansha, the extensive gardens and the robustness of the towers and bastions. Although certain key attributes of the city and ancient imperial capital that reflect the Outstanding Universal Value are well preserved, others are in need of conservation measures. Generally, the urban structure and the characteristics of the urban fabric of Meknès have become vulnerable due to rapid change and only poorly controlled development, as has the surrounding buffer zone. The attributes of Meknes reflecting the Outstanding Universal Value concern both the monuments and the urban fabric of the city which illustrate its layout in the 17th century. Some buildings have become very vulnerable due to inappropriate renovation or reconstruction, and the urban fabric is also rendered fragile by the erosion of features. In general, the capacity of the property to express its Outstanding Universal Value should be strengthened as some of its attributes are already compromised. 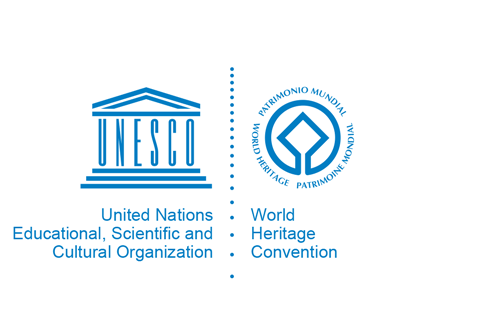 Protection measures essentially relate to the different laws for the listing of historic monuments and sites, in particular Law 22-80 (1981) concerning the conservation of Moroccan heritage. A management plan for the property is not yet available. Rehabilitation actions carried out so far, initiated by several interventions are based on a participatory safeguarding and valorisation strategy for this cultural inheritage. Furthermore, in 2003, aware of its essential role in the management of the property, the Municipal Council of the city created a Service for Historic Monuments responsible for the supervision and the implementation of rehabilitation programmes for local heritage in the community, to work in close collaboration with the Regional Inspection of Historic Monuments and Sites (Ministry for Culture). With the aim of conserving cultural identity of the city and promote the Outstanding Universal Value of the property, regular urban restructuration programmes are underway. In this respect, the following actions may be cited: the preparation of an architectural chart and development plan for the Medina, the application of a rehabilitation study (restructuration of the axes and main roads, streets and alleys, treatment and embellishment of exterior façades, strengthening of traditional masonry and surfacing). The restoration of the monumental walls and gates as well as the rehabilitation of the heritage buildings (bastions, palaces, graneries, silos and fortresses), the restoration of the historic squares and redevelopment of the green areas are also included in this series of activities. There is a need for institutional capacity building to ensure that the conservation and the rehabilitation of the attributes of the Outstanding Universal Value of Meknes receive the highest attention in the field of planning and decision making.